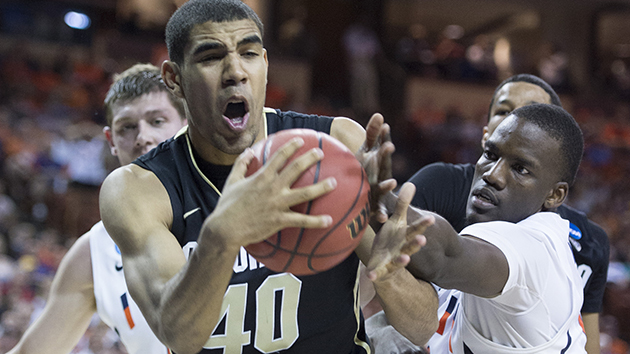 Everything you need to know about the Colorado Buffaloes as they begin the NCAA tournament. The Case For: To understand what the Buffaloes are capable of, just look at their signature 75–72 win (which probably got them into this whole thing) on Feb. 24 against then No. 9 Arizona. Scott led the way (26 points, nine rebounds) as he has for basically three years in Boulder. Sophomore guard George King has become similarly vital this season, averaging 13.8 points, behind only Scott. Nine of his 14 points against Arizona came from beyond the arc, where the Buffs have separated themselves from the herd, making 38.9% of their attempts (17th nationally). Junior forward Wesley Gordon only took five shots but pulled down 12 rebounds in the win. Between him and Scott, Colorado has consistently limited second-chance opportunities—its 24.6% defensive rebound percentage is 11th in the nation. In that win against Arizona, Buffs coach Tad Boyle also got 13 points from 6'5" guard Josh Fortune, who transferred from Providence and has provided a consistent outside threat to balance Scott inside. Fortune has scored in double digits in eight of the team's last nine games. The Case Against: Of course Colorado and Arizona faced off again in the Pac-12 tournament, with the Buffaloes faring worse and demonstrating their flaws in an 82–78 defeat. They scored just six points in the first 10 minutes and finished the game shooting 36.8% from inside the arc. On the year, their 43.7% rate from that area ranks 336th in the country, and leads to cold stretches like the one Colorado suffered against the Wildcats. Once they trail, the Buffaloes' inability to generate turnovers (322nd nationally) hurts their ability to come back. Fortune and point guard Dominique Collier have also run into foul trouble at times this season, and against the Wildcats, they combined for nine fouls, which limited them to 37 minutes of combined playing time. With them on he bench, no third scoring option beyond Scott and King (who combined for 38 points) developed, a common concern for Boyle's squad this season. Colorado now enters the tournament 22–11, but they have played .500 ball outside of an 11-game nonconference win streak, which came during the country's 251st toughest out-of-league slate. They are 5–6 since the calendar turned to February.